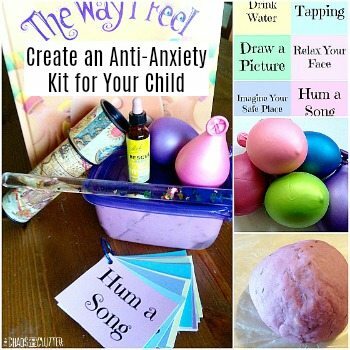 The creative vision for this activity was inspired by Angela at TeachingMama. She made a Fall Sticky Tree for her boys a few months ago and I knew that my kids would really enjoy doing one so I went out and bought the main supplies and then time got away from me and before I knew it, it was no longer fall! Snow covered the ground and an autumn activity no longer seemed like it would fit in, so I improvised! 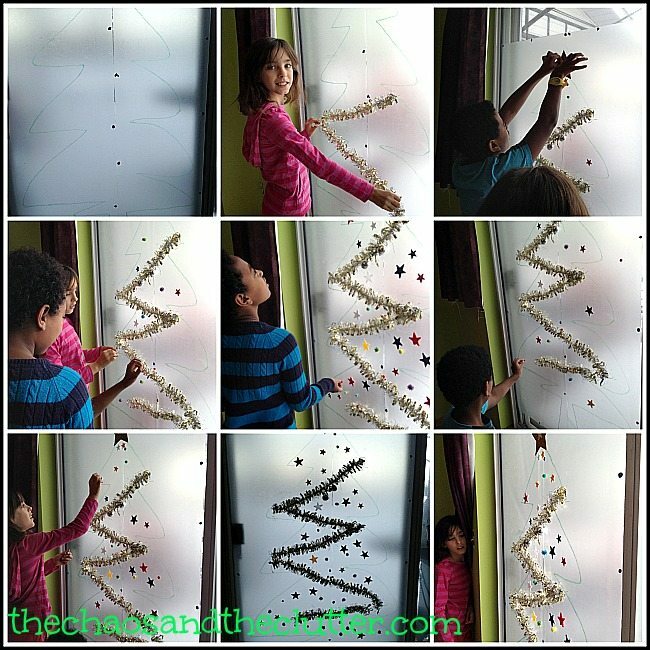 To make this, I used poster putty to attach clear contact paper to our patio window. (For those who are not familiar with it, contact paper is sticky on one side.) I used two sheets of contact paper side by side to create the width that I wanted. I kept the backing on the contact paper until it was stuck to the window and then peeled away the backing. I used a green Sharpie (permanent marker) to draw the outline of a Christmas tree. I then provided the kids with a pile of things they could use to decorate the tree: tinsel garland, light Christmas balls, pompoms, metallic pompoms (note: the metallic pompoms didn’t stay on very well and most fell off after the first day), felt stars, large glittered foam star, beads, foam candy canes and foam ornaments. 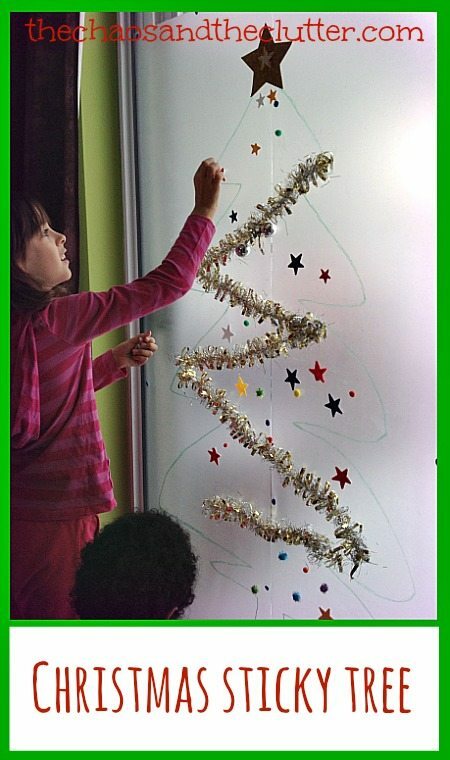 The kids really appreciated the creativity of being able to decorate this tree without any instruction or limitations. 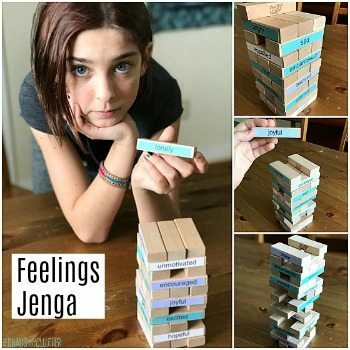 I would say that it held the attention of my girls a bit better than my boys and I’m not sure if that is because of the activity itself or just the moods on the day it took place. My boys generally enjoy craft activities as much as my girls do. 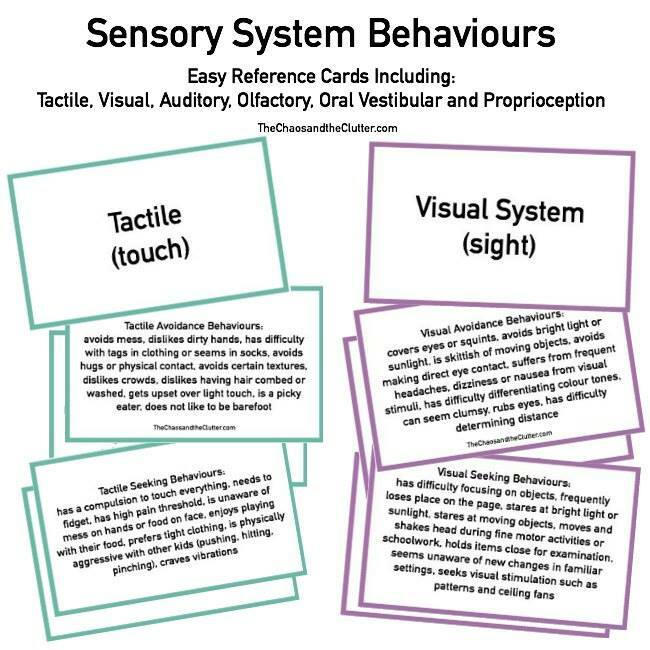 It was a good holiday sensory activity for all the kids and involved both fine motor and to some extent, gross motor as well. The activity was more of a success than I had anticipated in that now, several days later, when I pass by the tree, I see that even more has been added to it including paper ornaments that the kids have coloured on paper and cut out. 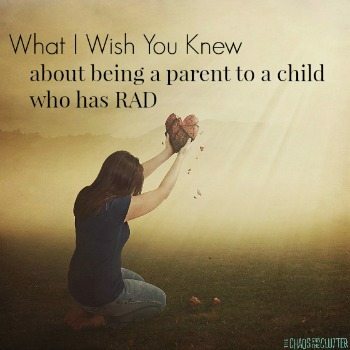 It’s always nice to see an activity that expands and takes on a life of its own. Other than the metallic pompoms which did not stay on very well, everything else is still sticking to the tree and it’s been four days since we first made it. 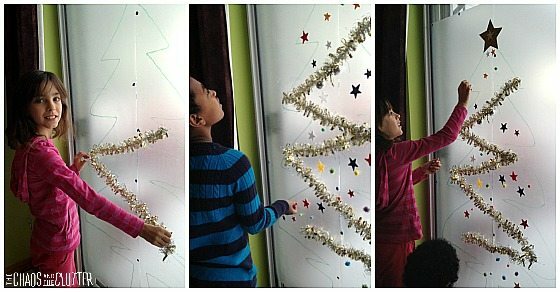 This was a hands-on and easy way to begin to decorate our homeschool classroom for the holidays! If you would like to see other ideas for Christmas crafts and activities, you may want to follow my Christmas Crafts board on Pinterest.